First-of-its-kind, truly portable Braille display. 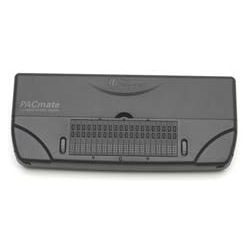 Not only add this display to PAC Mate�, but also desktops and laptops. 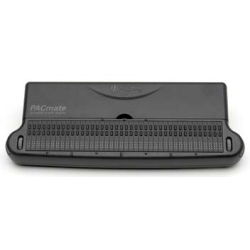 Featuring a low-cost, simple platform this 20-cell refreshable braille unit adds functionality to any computer with a USB port and JAWS. A new seamless design between braille cells makes the display feel like paper. With a pair of three-way Whiz Wheels� for rapid navigation and dual purpose cursor routing buttons, users can quickly and accurately obtain the information they need. The built-in VariBraille and programmable hot keys make this a convenient extension to any Windows or Windows Mobile operating environment.